There’s probably no better time to start a band than in college. You’re young, full of energy and ambition, and have all kinds of free time to practice your instrument and write your songs (Classes? What are those?). Most importantly, though, college is a time when young people are surrounded by diverse people, new ideas, and unlimited potential and encouragement, making it a rich time for finding and synthesizing influences and staking out their own artistic territory. College is a time when many young people find themselves and their people, so it makes sense that so many musicians would find their band in college, too. There’s something distinct about bands that met in college, crystalizing in the special pressures and freedoms of college life. They tend to be tight, for one thing; a band that forms in college, when there are no other real responsibilities and stresses, often becomes a family. That spirit has a way of infusing a band with a whole other sort of chemistry and creativity than bands that are strictly commercial enterprises. The college band that makes it big takes all of that excitement, camaraderie, and generosity and turns it into magic for the fans. It can make bands volatile too, like lots of family dynamics; it’s rare that a band started in college breaks up in a clean, unemotional way. That’s what make the Behind the Music stories so juicy. The College Consensus ranking of the Top 10 Bands that Met in College isn’t intended to be decisive or scientifically sound (check out our national and regional rankings for that). Rather, we want to highlight what can be accomplished by college students with the talent, drive, and luck to make it big in the music industry (although, keep in mind, “rock star” is not one of the highest-paying careers for college grads – it’s more a sink or swim occupation). College Consensus wants to be the college student’s resource for information, advice, and inspiration, and the Top Bands that Met in College is all about the inspiration. Bands are ranked according to the Consensus score of their alma mater; we are not about to argue whether R.E.M. or Talking Heads are the greater band. Jim Morrison and Ray Manzarek met while both were students at UCLA, studying in the school of Theater, Film, and Television at what was quite possibly the world’s foremost such school. Morrison’s artistic – or, some might say, pretentious – proclivities were evident from the very beginning, in choosing the band name “The Doors” as a dual reference to Aldous Huxley and William Blake (“If the doors of perception were cleansed every thing would appear to man as it is, infinite,” Blake wrote). Over the course of just six years, The Doors turned rock music upside down, serving the key cultural role of contrasting the optimistic Summer of Love with the squirmy, demonic thrall of the Lizard King. Morrison might have dropped out of college, but his bookish smarts and intellectual leanings were always underlying his performance of the hyper-masculine, self-destructive rock god. While he might have written songs, and performed in front of one of the most extraordinary rock bands of all time – the only power trio of the day made up of an organ, guitar, and drummer – Morrison always fancied himself a poet. 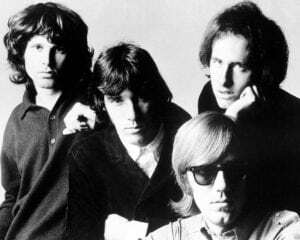 The ultimate tragedy of The Doors is not just that Morrison died young, joining the esteemed 27 Club in 1971; it’s that The Doors’ last album was their best, and signaled a growing maturity in Morrison’s work. Morrison’s trials – some literal, and most self-inflicted – had forced the dangerous boy to grow up. One of the formative bands of the New York first-wave punk scene didn’t even start in New York; David Byrne and Chris Franz (along with Franz’s girlfriend Tina Weymouth, not yet a member of the band) met at the Rhode Island School of Design, and predictably called themselves The Artistics. When the three of them moved to New York, and Weymouth learned to play bass, the name “Talking Heads” communicated exactly what the three artistically-minded young musicians wanted to be known for: “all content, no action,” as Weymouth put it. Adding utility player Jerry Harrison, Talking Heads hit CBGB and the emerging New York scene like the spirit of American media embodied, joining other off-kilter bands like Television and the Ramones to break rock music and start again. Talking Heads was always, on some level, an intellectual and artistic design, rooted in RISD even as it left Rhode Island far, far behind. Few bands have ever been quite as attuned to the impact of imagery and design on their music as Talking Heads, from the graphic design of their album covers, to David Byrne’s iconic giant suit in Stop Making Sense. Following David Byrne’s restless spirit, Talking Heads were also one of the most eccentric and eclectic bands of the 70s and 80s, dabbling in everything from pop to electrofunk to Afrobeat. 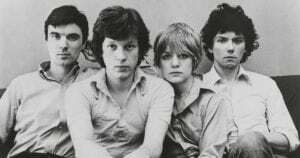 All the while, though, Talking Heads was always identified by Byrne’s unmistakable voice, and by his non-linear, stream-of-consciousness lyrics – a hypnotic mix of meaningless commercial slogans, media cliches, and startlingly clear insights in the rubble. We could make a case for Tina Weymouth’s endlessly inventive, funky bass, as well; Talking Heads might be deep in content, but Weymouth’s bass was all action. There was a time, around fall of 2001, when The Strokes sounded like the second coming of New York punk, when Is This It burst into the cultural consciousness with the urgency of Blondie, Talking Heads, and Television. October 2001 – another world, where a band of extremely privileged sons of New York’s upper crust could sound like a revolution. But believe it or not, that was the case. 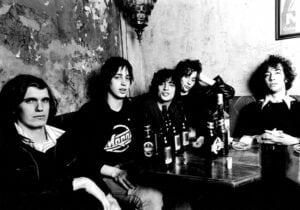 While most of the members of the Strokes – Julian Casablancas, Nick Valensi, Fab Moretti, Nikolai Fraiture, and Albert Hammond, Jr – had met at some point during childhood or their high school years, the Strokes started when Casablancas and Hammond roomed together at NYU. While the Tisch School of the Arts couldn’t hold Hammond, the Strokes made themselves the quintessential New York band (though their song “New York Cops,” which made fun of the title subject, was dropped after 9/11). After the initial promise of Is This It – which, by God, still blasts out of speakers like a fuzzy laser, if such a thing is possible – the Strokes stumbled and never quite got up. It’s not a surprise; it’s the story of just about every New-New-New Wave, post-post-post-punk band that came crashing out of the gate in the new Millenium. Somehow, the Strokes managed to release five albums between 2001 and 2013, soldiering through drug problems, egos, and in-fighting, doing their best to resurrect the mad days of New York in the 70s. At the last reports, the Strokes were considering a new album, even doing some work with legendary producer Rick Rubin, but don’t worry; they might not have finished college, but they have their Is This It royalties to fall back on. When rock critics talk about “college rock,” they’re talking about R.E.M. – literally, and figuratively. 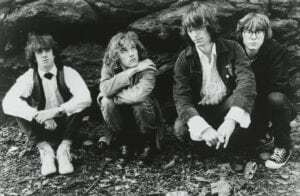 Figuratively, because before it was called “indie rock” or “alternative rock,” and long before it became the dominant mode of rock and roll, the kind of music R.E.M. made was called “college rock,” because the main place it could be heard was college radio stations. But literally, R.E.M. met and formed at the University of Georgia, when students Michael Stipe and Peter Buck crossed paths in the immortal Wuxtry Records; according to legend, Stipe kept coming in the store and buying all the records Buck (who worked in the store) wanted for himself. There may have been no more perfect beginning for a rock band in 1980, when punk was winding down, and rock was still long from becoming a self-parody. R.E.M. was an unlikely choice to become the biggest band in the world. Their early albums, with Buck’s jangly, echoing arpeggios and Stipe’s faraway, half-mumbled lyrics, somehow evoked the South while simultaneously sounding radically new and timeless. But against all odds, around the time that alternative rock became solidified as a genre and reached mainstream appeal, R.E.M. became chart-toppers, influencing a whole later generation of artists and carving out a space as the world’s favorite band. Thirty years after their first single, they disbanded, amicably, decisively, and finally – no cash-in reunion tours, no embarrassing vanity projects, no messy media spats. Michael Stipe can still be caught visiting Athens, GA, sometimes taking tickets at The 40 Watt club, or shopping in the local co-op; drummer Bill Berry still lives on a farm outside Athens. Uniquely, for rock and roll, R.E.M. kept it together, and keeps it apart, like mature adults. Steely Dan is a litmus test; either you get them, or you don’t. 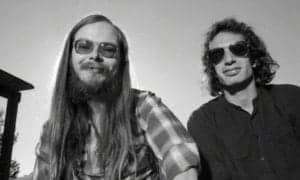 Walter Becker and Donald Fagen met as students at Bard College, in Annandale-on-Hudson in New York (which would get named checked in their song “My Old School”: “I remember your 35 sweet goodbyes / When you put me on the Wolverine up to Annandale”). Fagen was impressed by Becker’s jazz guitar playing, and the two began collaborating in a number of band formations before realizing that the only thing that worked was the two of them. That was the beginning of Steely Dan (named, in classic college-student style, from the William Burroughs novel Naked Lunch), which was perpetually Becker and Fagen, along with whatever ace musicians they could hire. Like the Beatles before them, Steely Dan realized that they could only reach their full potential in the studio. Fagen and Becker, both notorious perfectionists, hated touring, where the sound quality was always at the mercy of the venue and musicians could never recreate their compositions perfectly. After the album Pretzel Logic and their final 1974 tour, Steely Dan gave up live performance, concentrating on studio albums. Their later records are pristinely performed by some of the most talented studio musicians in the world, and perfectly polished in editing; most infamously, they took two years to make their final album, Gaucho, and at one point hired Dire Straits frontman Mark Knopfler for hours, only to cut his guitar contribution to a few seconds. Steely Dan remains beloved by a cult of fans for their hyper-literate, above-cool lyrics, their musical chops, and their overwhelming dedication to quality. Yes, Vermont legalized possession of marijuana in 2018. No, it has nothing to do with Phish, and yes, it has everything to do with Phish – although it may be more correct to say that Vermont has everything to do with Phish. 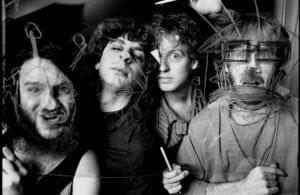 Everybody’s college roommate’s favorite band, Phish formed in 1983 when Trey Anastasio, Jeff Holdsworth, Mike Gordon, and Jon Fishman were students at the University of Vermont; in fact, their first performance was in UVM’s cafeteria. After transferring to Goddard College – a small liberal arts college where the weird was more openly celebrated – Phish began a career that has lasted for an astounding 35 years: longer, even, than their heroes, The Grateful Dead (measuring to Jerry Garcia’s death). Phish has maintained their connection with their home state in all sorts of unique ways, such as their Ben & Jerry’s ice cream flavor Phish Food (also based in Burlington, VT, with all of the band’s cut going to environmental initiatives at Lake Champlain). It’s appropriate that Phish began with covering Grateful Dead songs for stoned college hippies, because no other band has ever come close to capturing the dedicated fan base that Phish attracts to every tour. It helps that when Phish were at their most visible, Deadheads suddenly found themselves needing a new band to follow. But Phish, in addition to being known for their long, spaced-out jams and wacky lyrics, makes live music an experience, learning from the masters that involving the audience is the best way to keep them coming back. From the gimmicky (like Dude of Life’s rubber-chicken throwing, or handing out themed doughnuts) to the sublime (their Halloween shows covering a full album by the likes of David Bowie, Pink Floyd, and The Beatles), Phish has generated a fan base that has followed them from Vermont all over the world. In its chart-dominating heyday, Motown Records was known as a hit factory, in a quite literal sense; the singles and albums were created on assembly line, matching the right song with the right artist and the right musicians, and mixing it up when the formula didn’t work. It’s a surprise, then, that Motown’s biggest group of the 70s started totally organically, when six Tuskegee University freshmen who loved jazz and R&B got together and chose the coolest name they could find in the dictionary: The Commodores. They made their name in the first few years by winning the university’s talent contest and playing for Greek parties. When their first lead singer left to fight in Vietnam, two of the members took over as co-lead singers; fortunately for the Commodores, one of those guys was Lionel Richie. The Commodores’ sweet spot was the 70s, after they opened for the Jackson 5 in 1972 and got themselves a Motown contract. With Richie and co-lead Walter Orange, the Commodores had two gears: smooth tear-jerkers like “Easy,” usually sung by Richie, and barn-burning funk like “Brick House,” Orange’s forte. It was a mix made for the era, though as the decade wore on, Richie’s charisma and growing stardom began to push the scales a little more to the ballad side. By 1982, just ten years after signing with Motown, Richie left for a chart-topping solo career and the tight group that had started out as ambitious Tuskegee freshmen gradually peeled off one by one. For a solid decade, though, nobody rocked the house and brought it down like the Commodores. When Carlton Ridenhour and William Drayton met as students at Queens, NY’s Adelphi University, hip-hop was still on the verge of its Golden Age, growing out of its early years as an up-tempo party music and an early-80s interim as a dance-pop novelty. Calling themselves Chuck D and Flava Flav, the two decided that something new – the harder, new-school beats of Run-DMC combined with Chuck’s aggressively political lyrics – could make a mark in the business. Recruiting DJ Terminator X, the production team called The Bomb Squad (brothers Hank and Keith Shocklee and Eric “Vietnam” Sadler), and Professor Griff (the loosely-defined “Minister of Information”), Chuck and Flav created a band defined by some of the era’s most elaborate and innovative production and Chuck’s voice, which sounded like an Old Testament prophet calling a particularly heated football game. In retrospect, the most fascinating thing about Public Enemy may be their appealing mix of black militancy and sly humor. Song and album titles like “Welcome to the Terrordome,” “Terminator X to the Edge of Panic,” It Takes a Nation of Millions to Hold Us Back, and Fear of a Black Planet did both – thrilling young African-American audiences, and striking horror in the hearts of the white mainstream (horror Professor Griff stoked and Flava Flav mocked). 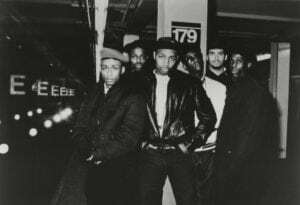 Chuck’s training in design made an impact, too; in a day when rappers were leaving behind the flashy costumes of the earlier period for no-nonsense street fashions, Public Enemy’s aesthetic was already fully formed with Yo! Bum Rush the Show. With such an uncanny package – run with an iron fist by Chuck, until it all came apart – Public Enemy made their mark, influencing generations of hip-hop and rock artists as diverse as Brother Ali, The Coup, and Rage Against the Machine. It’s a safe bet that, without the Pixies, there would have been no 90s alternative rock to dominate the airwaves and MTV. Sure, the college rock bands of the 80s, like R.E.M. and the Replacements, would have still been influential on the next wave of rock and roll, but the sound everyone thinks of a “alternative rock” – that’s the Pixies. The violent, whiplash shifts in volume and tone (jangly surf guitars that smash into walls of noise), and Black Francis’ primeval howl, essentially created an entire genre, and a good half of the bands record execs scooped up after Nirvana were heavily indebted to the Pixies. And, of course, they managed to break up before getting any of the credit. 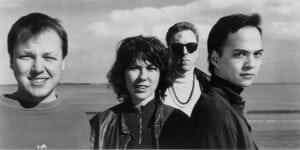 When the Pixies were formed in 1986 by UMass roommates Charles Thompson (an anthropology major) and Joey Santiago, no one sounded like them. Thompson’s weird Biblical obsessions and complete lack of knowledge of cool music, and Santiago’s love of glam and punk made a strong combination. But when they added Kim Deal, with her voice (like a very bored angel who knows a lot more than she’s letting on) and her steady, grounding bass, the Pixies were perfected. Black Francis’ fragmented, inscrutable, self-consciously literate lyrics combined with the band’s raw power to make records that sounded like they were self-destructing even as they played; enjoy it now, you’ll never be able to listen to it again. They still sound like that, more than 30 years later. Plus, what other band immortalized their alma mater in a song like “UMass”? It’s educational! Devo was simultaneously one of the most intellectually and artistically sophisticated rock bands of all time, and one of the most weirdly fun. Before Devo was a band, it was an idea, forming the substance of Gerald Casale and Bob Lewis’s work as art students at Kent State University. De-evolution, a satirical philosophy/scientific theory that humankind was in the process of regressing, had been Casale and Lewis’ inside joke on the world, never quite letting on whether it was serious or not. Fellow art student Mark Mothersbaugh caught onto the de-evolution train, encouraging Casale and Lewis to develop the concept. It was all in fun and pranks until the notorious Kent State Shootings in 1970; after that, de-evolution looked real. It was time for Devo. Devo, the band, started in 1973, but Devo was never just a band. Every aspect of the group, from their bizarre onstage costumes to their many multi-media projects (films, publications, and eventually music videos – Devo were pioneers of the form), was carefully managed, refined, and thematically consistent. Consistently insane, as the times demanded. Stage shows were confrontational, lyrics were absurdist, and the music was danceable, as long as dancers didn’t mind being whipped around by sudden shifts in rhythm and time signature. Devo had numerous lineups through the 70s and 80s, but the core always remained the two sets of brothers: Gerald and Bob Casale, and Mark and Bob Mothersbaugh. Art school kids who grew up fast, with the shock of a sudden tragedy, and used the weirdest parts of their imagination to show America its real face: Jocko Homo, the monkey-man.